This year we chose to stud our Camso Ice Cobra 1.6”. Last year we tested the 1.6″ Camso Ice Cobra. It is a very capable track but maybe the choice to install it on a 120” 800cc chassis was the wrong choice. 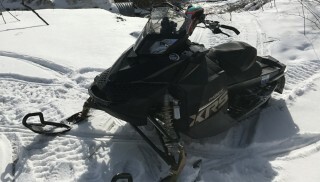 It was excellent when idling and exploring through the bush in powder snow, but coming out of corners on a hard-packed trail, or trying to decelerate on glare ice, the sled would easily overpower it. So, we wanted to test it with studs this year. 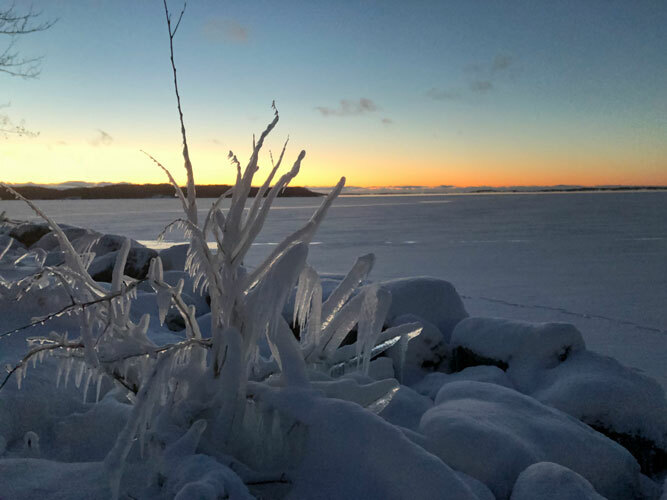 Glare ice is unavoidable riding trails and lakes. Woodys Traction sent us 84 Grand Masters and washers and we installed them. 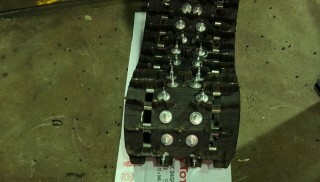 See Our Studding Your Snowmobile Track article if you’d like. We thought we’d be one of the first to try this combination, but that was not so. Speaking with friends we found that 3 other lake and trail riders had tried a similar combination with success. The difference in performance is noticeable. The track retained all of the positive characteristics for breaking trail and riding through the trees in the bush. We experienced increased traction when we gently crawled over downed trees, and of course loading and unloading. 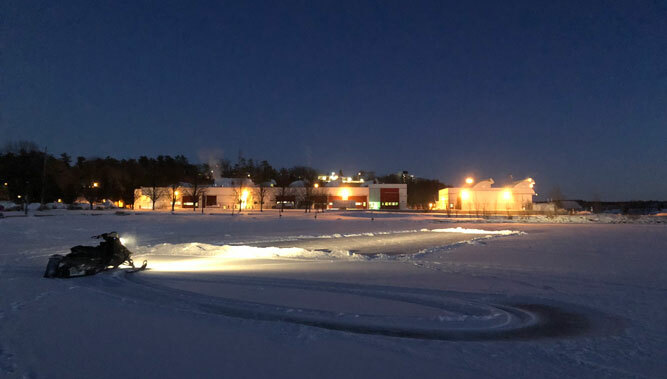 On glare ice, we can stop much better and because the track is soft, and we installed only 84 studs, we can slide the back end around in a very balanced manner. We found a great balance of safety, traction, and control while retaining “flickability” on glare ice as shown here. While trail riding we feel more comfortable and safe entering corners, and it now hooks up much better when leaving corners. 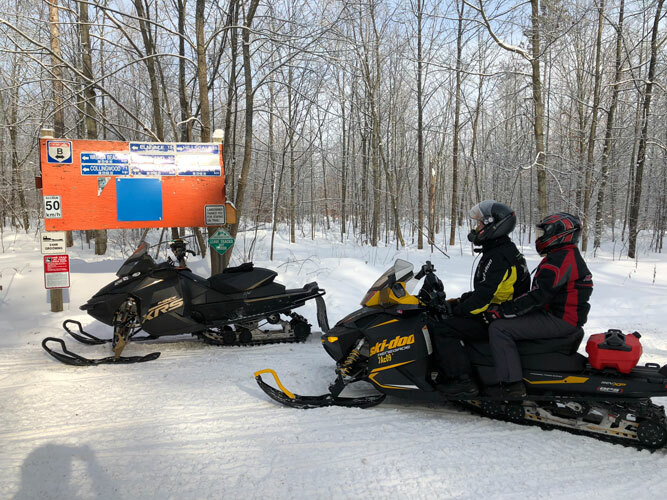 When attending some local bragging rights snow drag races we came out of the hole first and only a modded turbo sled crossed the 660′ mark before us. We were asked about our track and suspension set-up that day. 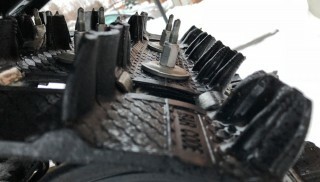 Trail riding the studded Camso Ice Cobra 1.6″ is safer and more fun. We now feel safer and the sled is more maneuverable in many more conditions. 84 studs are decent but for our 800 we’d consider adding more. We are very comfortable with this set-up now and will leave it as is to avoid overpowering our carbides or performing more suspension tuning. The combination of a pre-studded track and traditional studs is a very “ultimate” combination we’ve been waiting years to try, and we’re very happy we did.